I’ve had oily skin all my life but when I got pregnant my skin went crazy dry. Sandpaper in the desert dry. I tried approximately 87 different moisturizers and nothing made a difference. 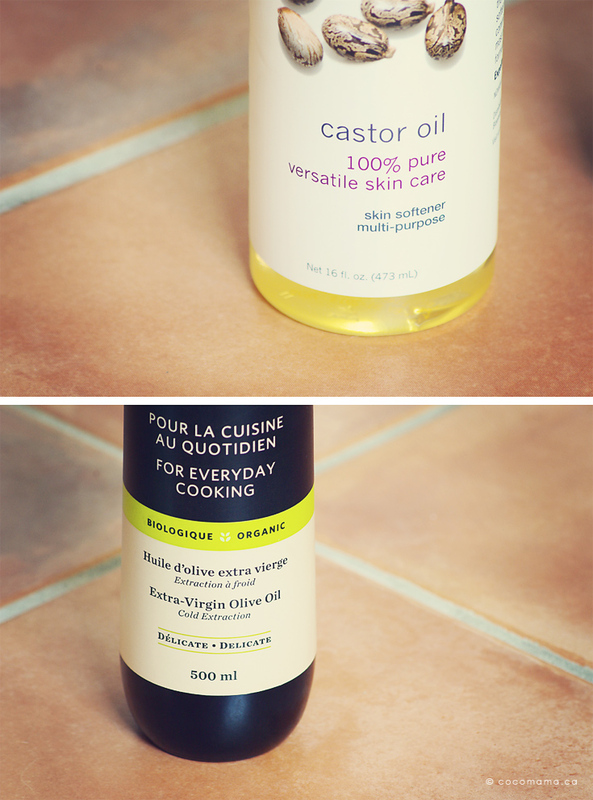 Then I learned about an all natural cleanser from Simple Mom via Pinterest that uses oil to clean your face. Sounded odd, but I was intrigued. Simple Mom’s claim was that oil will gently remove the dirty oil on our face and replace it with good, nourishing, healing oil. With regular soaps and cleansers, the skin’s natural oils are removed and the body’s reaction is to compensate by producing more oil, much like shampoo does with our hair. Or if your skin is dry, it’s because all the oil has been stripped away, and your body doesn’t compensate by replenishing it (which was happening to my face post-conception). I decided to give it a shot. Couldn’t hurt right? Pour equal parts of extra virgin olive oil (I chose organic because who wants pesticides on their face?) and castor oil into an empty bottle. Pour a quarter size amount into the palm of your hand. 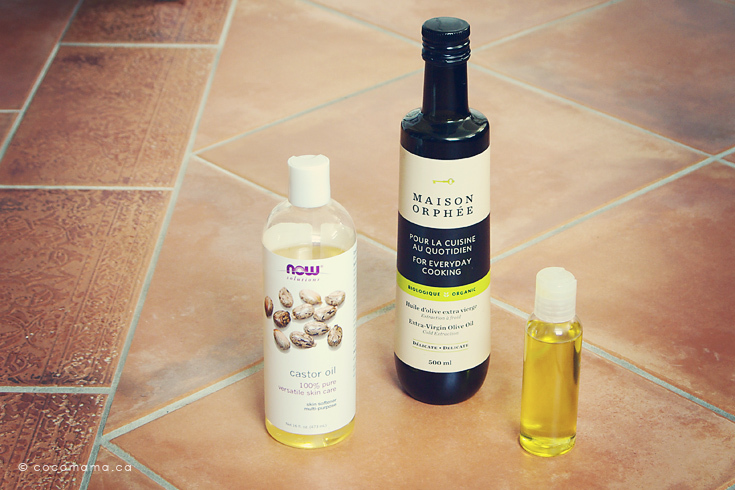 Gently massage into your dry (don’t wet your skin first), unwashed face. Wet a facecloth with hot (not scalding) water and place it over your face until it reaches room temperature (about a minute). This steam cleans your pores, loosening all of the dirt and bad oil. Rinse the cloth and wipe off the excess oil on your face. The result? Baby soft skin. I wash my face with this cleanser at night only and in the morning just splash my face with water. Bonus: this works wonders as a makeup remover too. I’ve been using this chemical-free cleansing method for 6 months and not only is my skin ridiculously soft and smooth, but I haven’t had ONE SINGLE ZIT.